EOS" examines the odyssey that is consciousness. An experimental narrative following a woman as she embarks on a journey through the tidal forces of life, death, and a metaphysical duality. Director Bruce Muller explores this delicate thread through the dynamic cinematography of surf film legend, Sonny Miller, and Scott Soens. Clear your chore list! 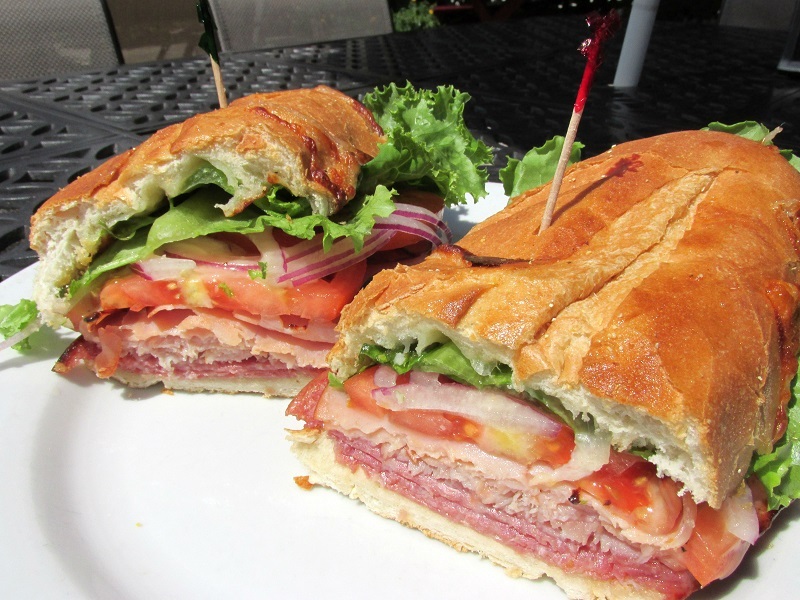 The 3rd Annual Local BB&B Fest is right around the corner! And this year, it's more core than ever! Local shapers; Ricky Carroll, Stu Sharpe, Chris Birch, Neil Hamilton (Low Key), Logan Moore and Matt Holladay (Heirloom Surfboards). Come out and get to know your local shaper! It's the only way to get a board. Plus you're helping the local economy! Live music all day! Billy Chapman kicks things off at 1pm, followed by the Radio Flyers, Sons of Neptune, the Aquanuts, shutting it down will be the Danny Morris Band!! RezPro will be providing the sound system! A true surf stomp line up! Local clothing vendors CleanSurf and Villon can outfit 'ya! Coastal Kitchen (great bowls), Coastal Bites(good food w/ a Peruvian touch) and FM Pizza Truck will make sure 'dem belly full! 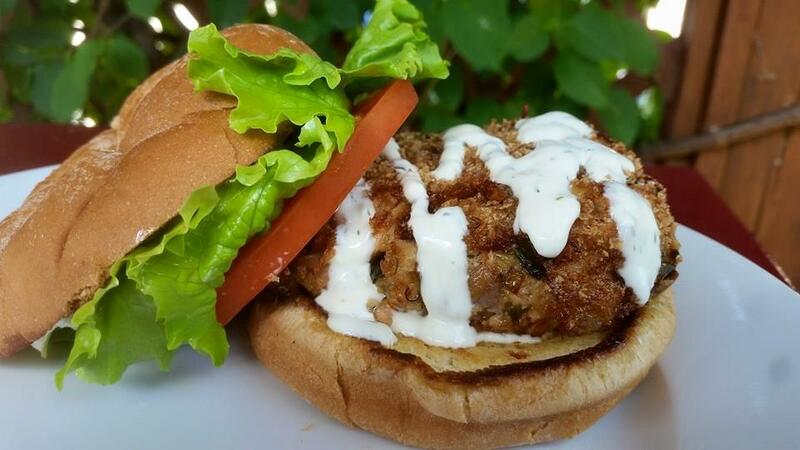 Top it off with a few tasty Intracoastal creations and you've the makings for a fine day fer sure! 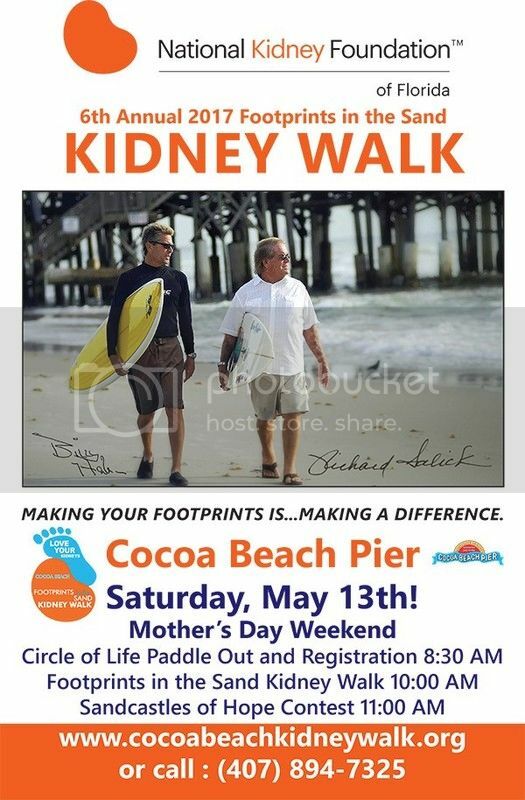 All to benefit the local Surfrider chapter. We'll be raffling off a commemorative board, specially made for this event. $5/ticket, 5 for $20!! Bring your tax refund. Also, a special on Surfrider memberships, so don't forget to renew your membership or join the cause - CLEAN WATER, HEALTHY BEACHES!!! See 'ya Sat. 1 - 10 pm. We have a limited number of free tickets for "Jan & Dean's Surfin' Beach Party" on January 27th at the Summer Crush Vineyard and Winery in Fort Pierce. It begins at 5:30 pm and even the Beach Boys say that Dean Torrence and the Surf City All-Stars are one of the best surf bands in the world. They do all their hits from the 1960's plus many Beach Boys hits. Summer Crush will have food, wine and craft beer for sale and the first people who reply to this email will get their tickets confirmed via email immediately. Regular ticket price is $32.00 each. Free parking. Mild weather is expected. will use the tickets to attend the event. Swells of Interest II, a documentary surf film by Diana Wehrell-Grabowski, PhD is a collection of East Coast surf footage from hurricane and tropical storms, and other memorable swells from Fall 2014- Fall 2017. The film features a whole lot of Central East Coast surfers, at numerous local breaks. More than just footage of storm surf, Swells of Interest includes meteorological narratives on numerous swells provided by Mike Watson, Lead Atlantic Forecaster/ Atlantic Operations Manager. Hear dozens of surfers also share their memories of the featured swells. A melodic soundtrack is woven throughout the film. 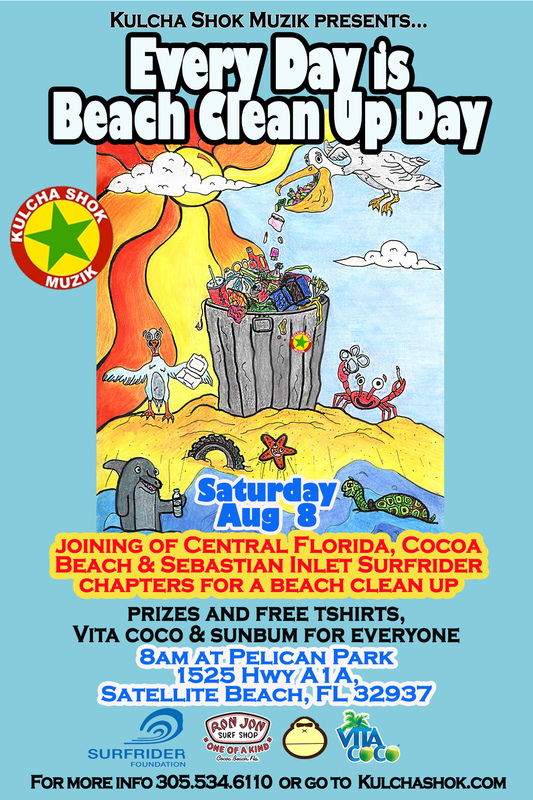 The event is hosted by Cocoa Beach Surfrider Foundation. There will be two shows one at 4:00 pm Family Matinee and a 7:00 pm show with doors opening at 6:00 pm with a cocktail hour, music by the Aquanuts. $5.00 entry. Seating is limited to 200 per showing, buy your tickets now. The grand opening is 10/28 at Noon to 4PM and it is located behind the Desoto Raquetball courts. 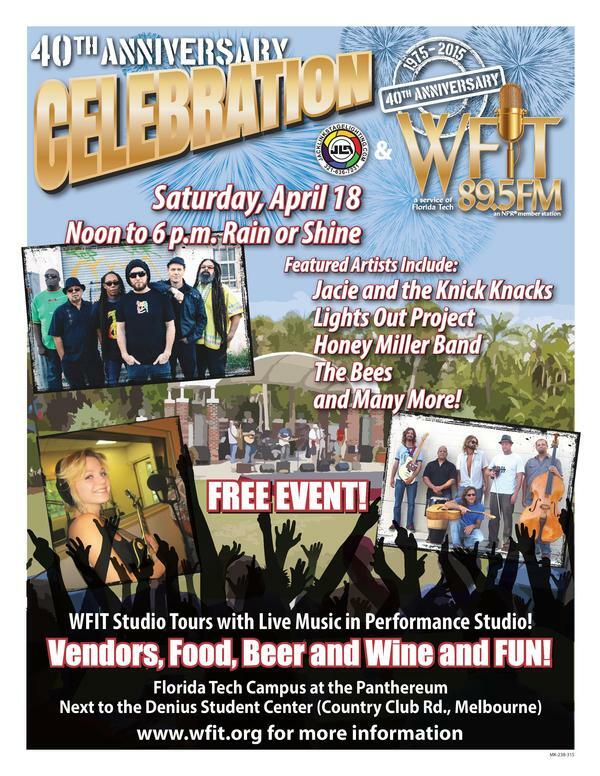 There will be standard ribbon cutting, demonstrations, Coastal Kitchen food truck, games, and music. Bring any seeds or cuttings. We are also looking for small pots 1 gal. Bike riding to the event is highly encouraged and will be rewarded. Great reason to get off the couch and see what your city has been doing. Friday, Oct 20th 6pm to 10pm Hunker Down, Downtown Cocoa Beach. A few opportunities to check us out. Land based and out to sea! 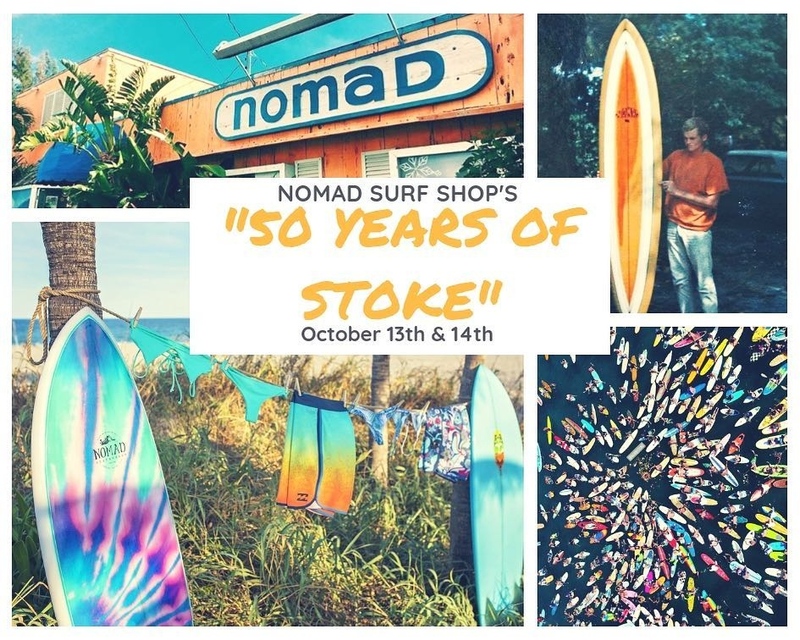 The Florida Surf Museum is hosting the 8th Annual Florida Women of the Waves weekend on October 6th and 7th in Cocoa Beach. We will be showing the movie "The Women and the Waves 2" on Friday night at 6:30 at the Cocoa Beach Library. There will be a Surfing Social Saturday morning from 8:30-1pm at Lori Wilson Park. The Potluck Barbecue will be Saturday night from 6-10 pm at the Cocoa Beach pool pavilion $5 BYOB and your favorite dish to share. Music by the Aquanuts. Open to the community and, yes, men can attend. 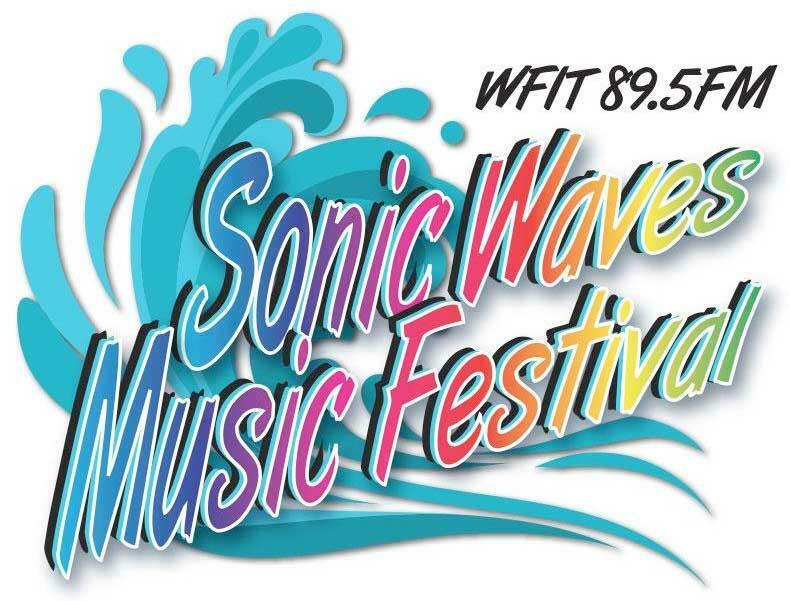 For more info, go to Florida Women of the Waves on FB or call Melody at 321-537-2045. Hope to see you there. The Hunkerdown Hideaway is the beach bar that is right next to Coconuts. (Next building West, shares parking lot) good place to get loud and rowdy! 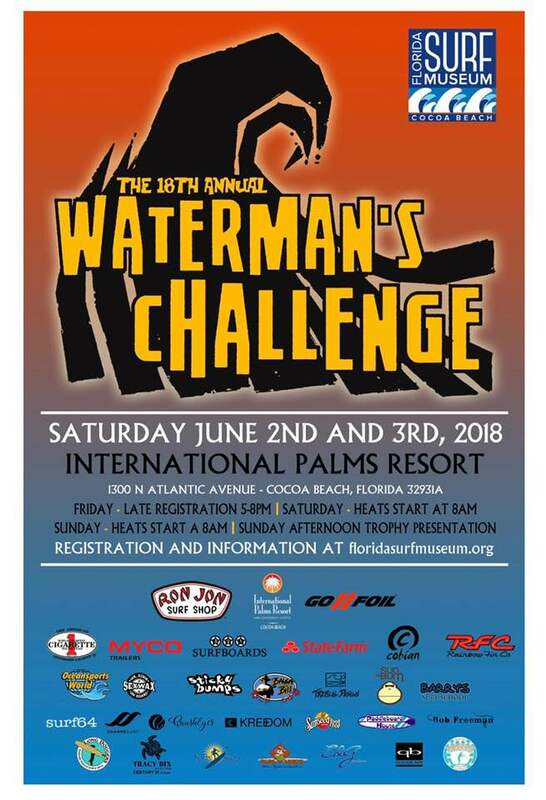 The 17th Annual Waterman's Challenge- hosted by the Florida Surf Museum- is being held June 3-4. The venue is International Palms Resort in Cocoa Beach. We have a block of 55 rooms at an event room rate of $79 at the International Palms Resort (IPR). Call the resort directly, (321) 783-2271, and mention the Florida Surf Museum's WATERMAN'S CHALLENGE to get this rate. ON-LINE REGISTRATION ONLY. www.wc-eventbrite.com Registration closes Tuesday, May 30, 2017 at 5:00pm. $25 per division.Total entries for each division will be limited so be sure to register early to ensure a slot. IF THERE ARE SLOTS OPEN YOU CAN REGISTER IN PERSON AT IPR June 2, 5-7pm - International Palms: $35 per division. Welcome to the official event page for the 2016 Ocean-Reef-Beach Festival (ORB Festival)! 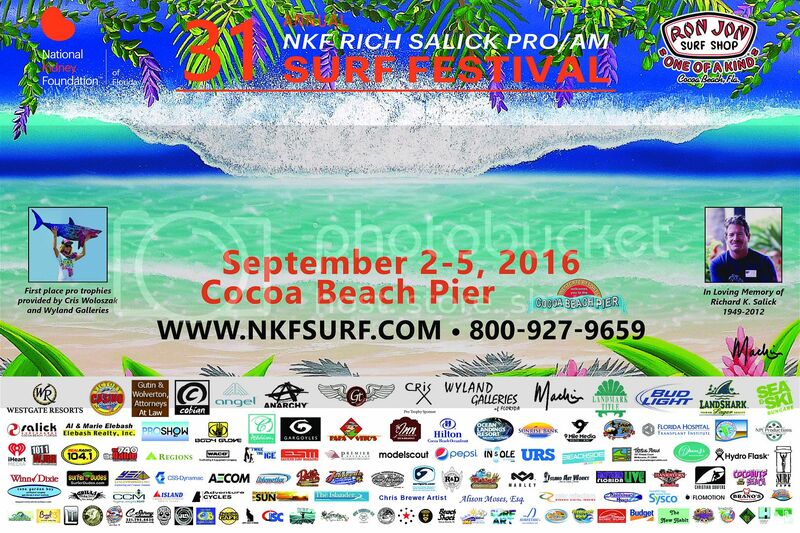 Mark your calendar for Saturday, December 3rd, 2016 as is the 5th Annual Ocean-Reef-Beach Festival returns to Pelican Beach Park! Celebrate the ocean lifestyle with us! The museum is proud to host this great event originally started by the Trosset family. Surfing Santas from Cocoa Beach and all over the world will hit the surf to share a wave and the Christmas spirit. spectators so don't be late if you want a parking space. Anna Lusk performs the song from this year's Surfing Santas video.